- guess where this quilt is going to end up! Finished size: 69" x 84"
Your quilt is so pretty, I love it. In the first picture, what is the plant in front of your quilt? The one with the large pods on it? I live in the US and have never seen anything like it. I enjoy reading your blog. Thank you for sharing. 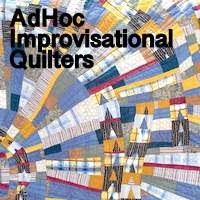 Your quilt top is gorgeous. You have really brought the blocks together so well with the green spots in the sashing. Love the 9 patch cornerstones. 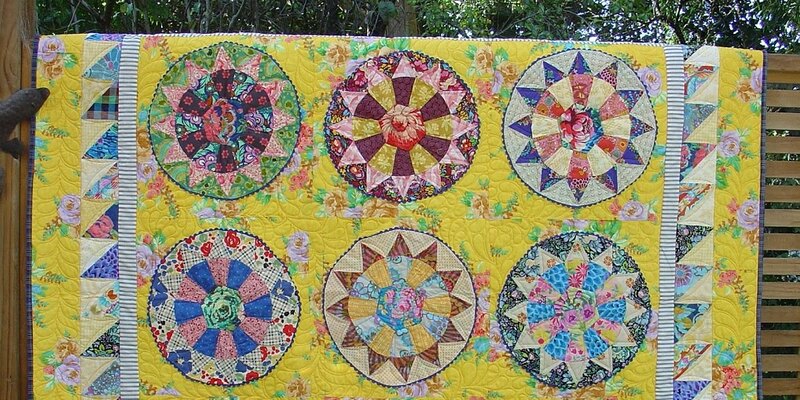 the quilt looks very light and summery - you all have the heat and we have the cold - well be glad when it gets warmer here for sure!! Lovely way to use low volumes. I like the name too because it reminds me of grandma's house. Chamomile grew wild in the gravel driveway and it always reminded me of the smell of apples when we drove up. And speaking of plants...what is that plant in the pictures in front of the quilt with what looks like prickly green seedpods? I don't believe I have seen one like that before. We have record setting cold temps here right now and most everything is closed because of it. Very beautiful summery quilt top, Linda. 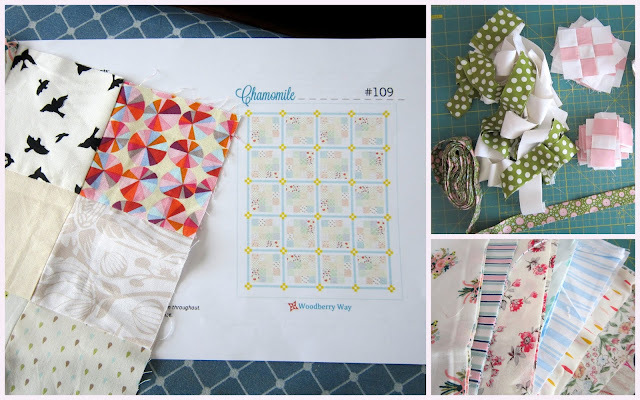 Your sashing sets off the 16 patch perfect. I can 'feel' the warmth just looking at your photos. We have a rain storm today. So very very lovely -- gentle and feminine but not fragile in the least. Wonderful to see your summer backdrop and blooming greenery. SO cold here. What a finish! Although I know I use bold full-on colour in my quilts but do I love the softness of your fabrics choices here, I'm tempted to perhaps try using softer coloured fabrics in a quilt sometime. The green spot is perfect for the sashing, is that a KF fabric? This quilt looks so restful to me, and perfect for warm—hot—weather. It’s amazing to me how some of us are way too cold and others are way too hot right now. I’m looking forward to temperatures evening out a bit. That is so pretty, it's very cool and restful appearing. We're in the midst of a cold snap here in the northeast USA, with temperatures at -15 F or more at night. Worst has been the wind chill factor. I suppose you would love a bit of that just about now. So calming and restful. Love it with the bright green swan plants too. Have you decided how you are going to quilt it Linda? Oooooh! This is gorgeous! I love it!!! So pretty and cool for the hot summer. I love the green and white polka dot; it adds so much. Good choice. Your lovely pale shades with that crisp green dot make for a very pretty, cool looking quilt. Perfect in all that heat. Your quilt is very sweet and light - just what we need in summer. My mum says her swan plants are massive too. I haven't seen any in Wellington this year yet. Thank you for linking up to the Peacock Party. Absolutely perfect for this hot sunny spell in NZ! Very pretty and feminine. Your quilt top is lovely. The green dot was a great choice for the sashing. And thanks for the link to the plant information. I find it fascinating! This quilt screams, but softly. Because it is low-volume :-D Beautiful!! !